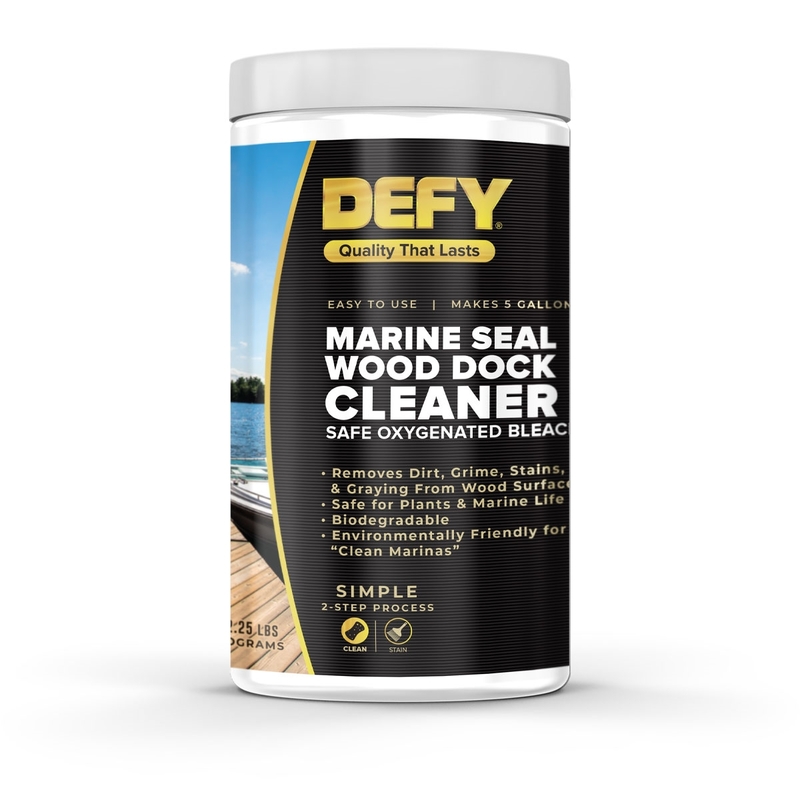 This environmentally friendly product safely cleans and restores wooden docks without harming marine life. It's also an excellent cleaner for exterior vinyl, aluminum, fiberglass and concrete surfaces. Unlike chlorine bleach based cleaners, Marine Seal Wood Cleaner is biodegradable and will not harm wood fibers, grass, plants or marine life. Marine Seal Wood Cleaner is a powdered concentrate that is mixed with water. 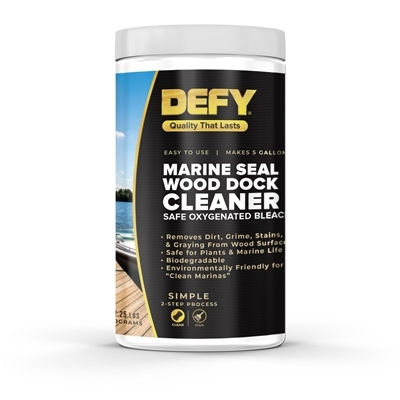 Marine Seal Wood Cleaner removes dirt, grime, mildew stains, previous coatings (not paint) and weathered graying from horizontal and vertical wood surfaces. This product is recommended for surface preparation prior to application or reapplication of clear finishes and stains (for best results use Marine Seal Wood Dock Stain). Note: Marine Seal Wood Cleaner will darken redwood and some types of cedar. Apply cleaner in a test area to ensure proper results prior to proceeding on the entire project.